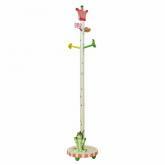 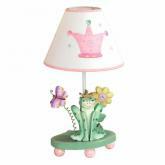 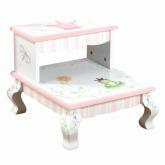 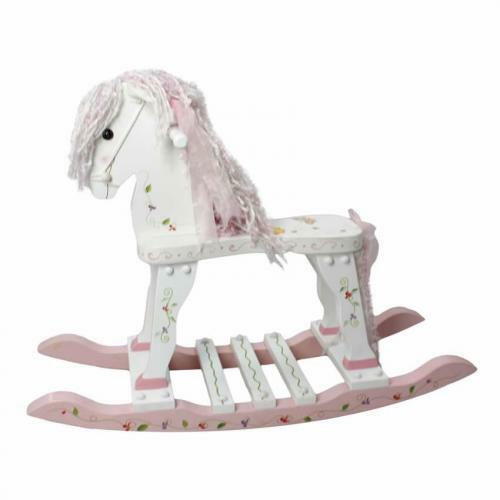 Pink and White Wood Rocking Horse - Hand painted with delicate pink flowers, this pink and white wood rocking horse is such a feminine beauty. 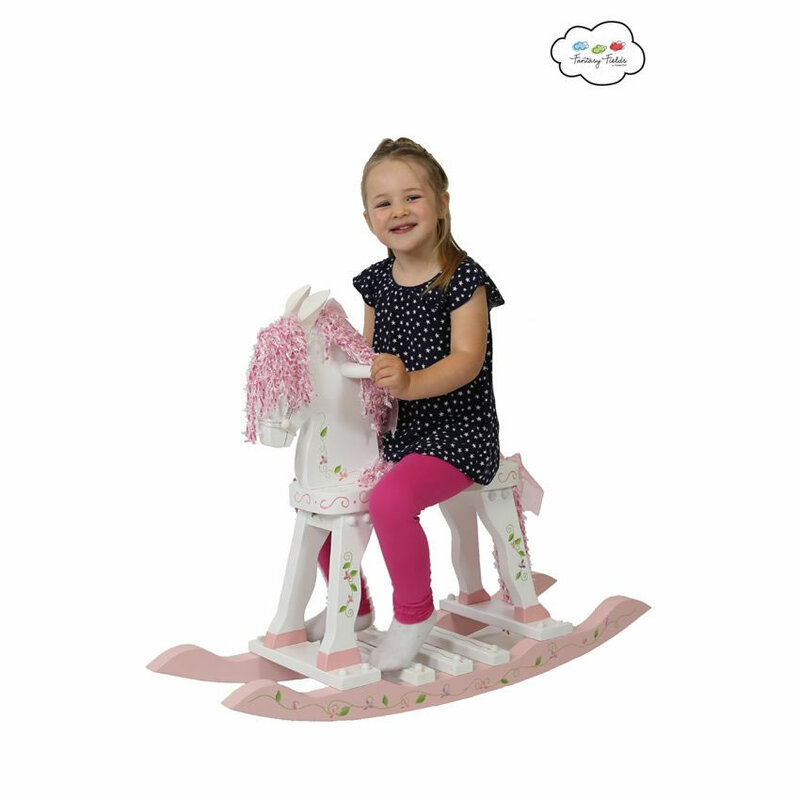 You can probably already imagine the priceless photos you'll take when she receives this gift - your little girl riding her new horse with her head resting on the horse's head and her arms hugging tightly around its neck. 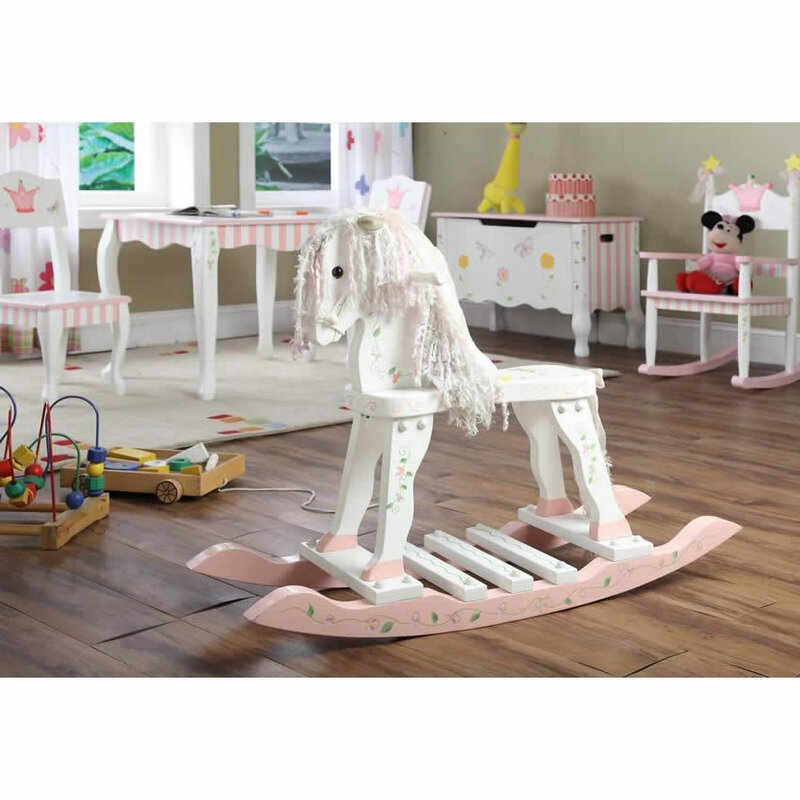 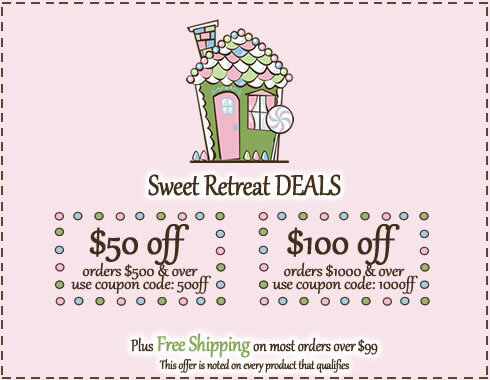 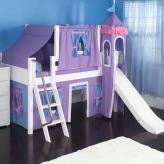 You'll treasure those pictures as much as she'll treasure her rocking horse for years to come. 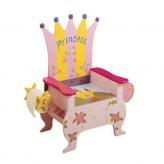 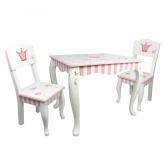 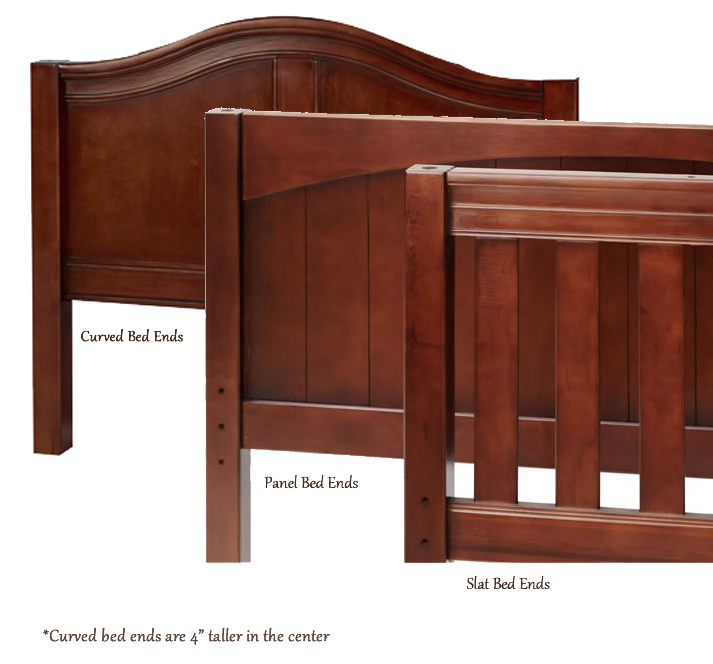 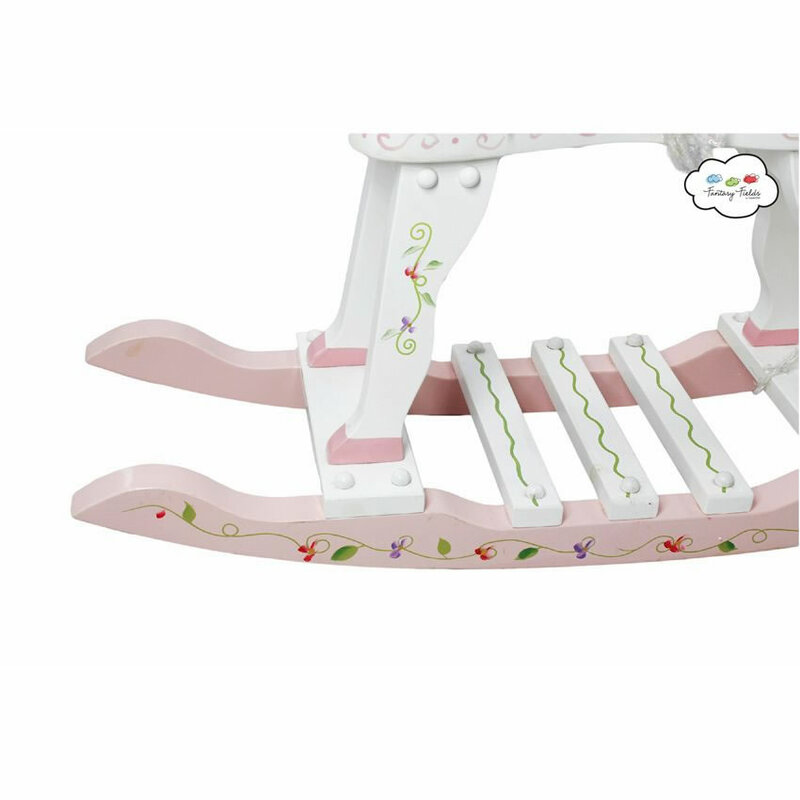 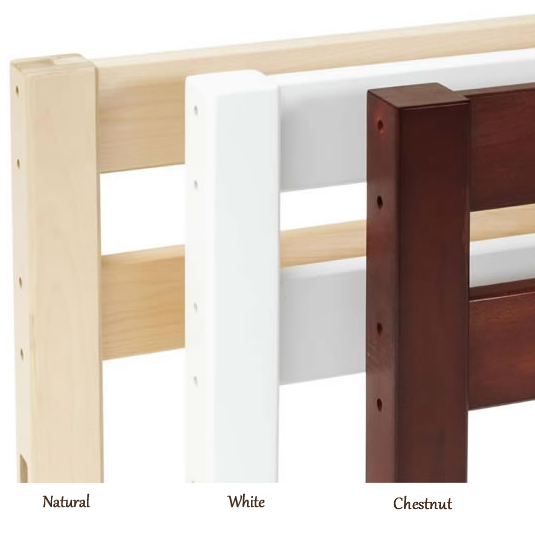 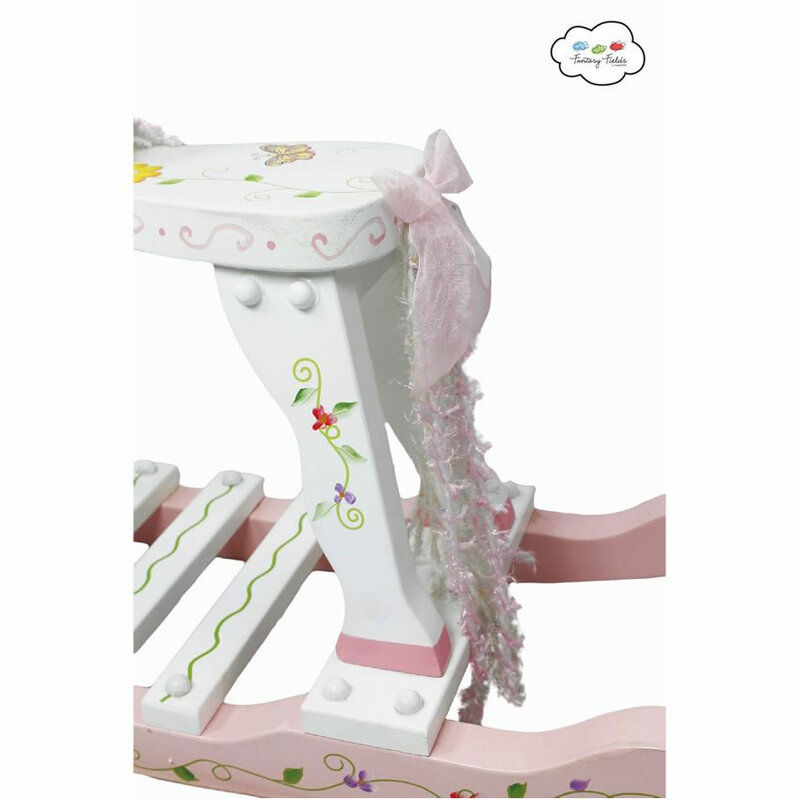 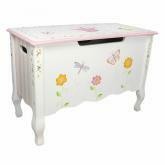 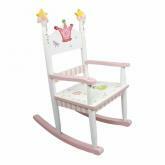 Every detail on the pink and white wood rocking horse is hand painted for a beautiful custom look. 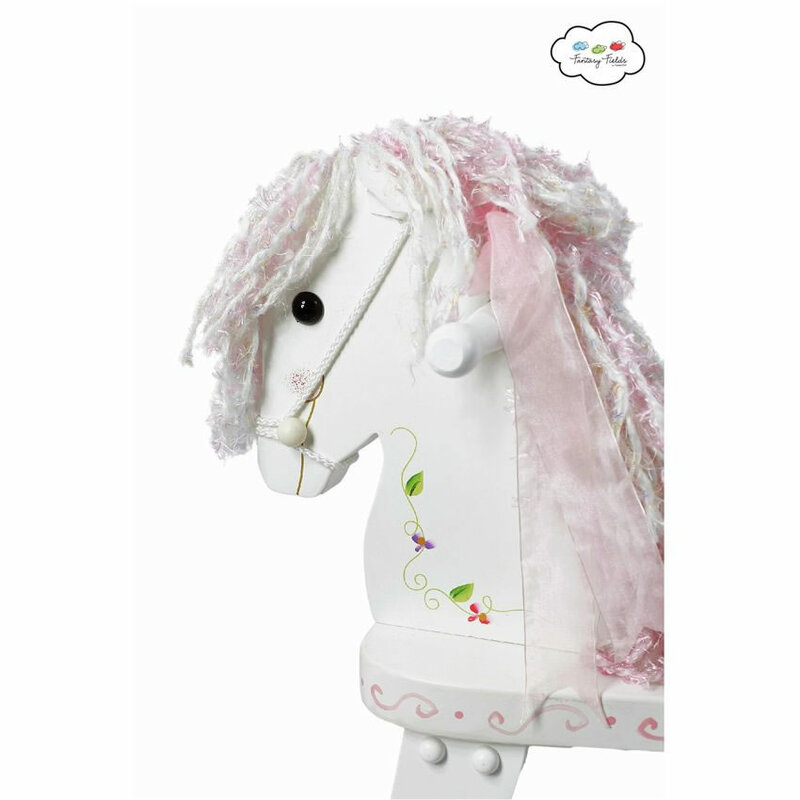 A pink and white yarn mane and tail, both with pink bows, add such a girly touch.